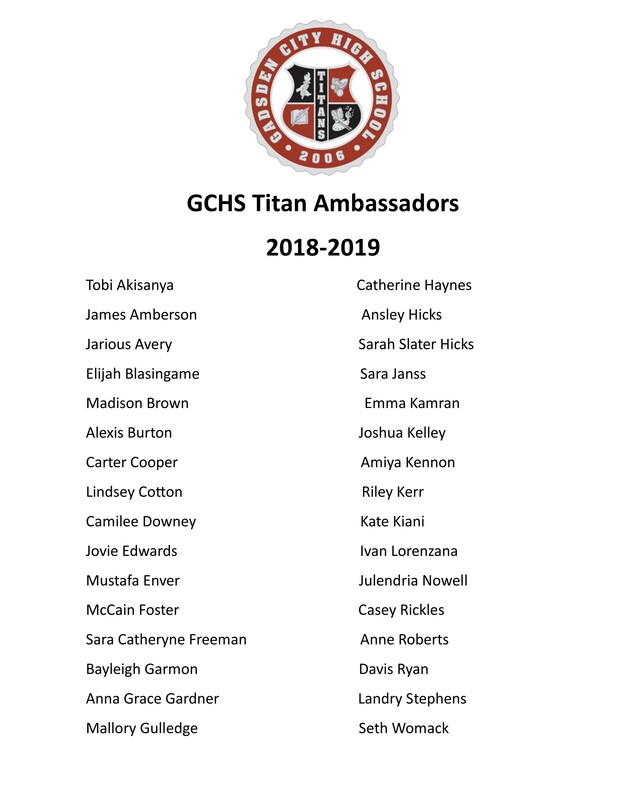 What is a Titan Ambassador? Team Titan members will attend one full-group meeting per month, at which appearances for the month will be discussed. Sign-up for appearances will occur at these meetings. Monthly meetings are MANDATORY, and should not last more than one hour. Members of Team Titan will be required to appear at a minimum of one function per month, or a total of 12 functions per calendar year. Times and lengths of these functions will vary. Total number of functions available per month will vary. Some appearances will occur during the normal school day such as those at middle and elementary schools. Other appearances will occur after school hours, on weekends, or during the summer as the need arises. Members will be informed of date, audience, location, and anticipated length of appear enc at these monthly meetings. Attendance at training sessions, monthly meetings, and assigned appearances is mandatory.